No matter how persistent your painful patterns in love have been, you have the power to manifest ecstatically happy, healthy, wholehearted love! But what if I told you that you are—in this very moment—on the precipice of having a radical breakthrough to love? I’ve had the honor and privilege of teaching many smart, successful, creative, bright and competent people—people who, like yourself, are conscious, caring individuals who have done impressive and meaningful things with their lives—yet who were initially confused as to why finding love had been so challenging for them. That’s because nearly all of them viewed their failed relationships (or lack of a relationship) as something completely outside of their control. They’d tried many things to improve their luck in love—dating sites, matchmakers, blind dates or singles events. They’d even tried not trying! Pretending they no longer cared, secretly hoping that by letting go, love would somehow manage to find them. That is, until they began to understand—through my trusted, 49-day Calling In “The One” process—how they, themselves, were unconsciously getting in their own way and covertly sabotaging their chances for success in love. You see, most of the time when people are struggling to find love . . . there’s a story (or stories) that we tell ourselves. If this sounds familiar, I want you to know, you’re not alone. Nearly all of the people I’ve worked with to successfully manifest deep happiness in love, at first, viewed their failed relationships (or lack of a relationship) as something completely outside of their control. Once they learned to identify and release their internal baggage, blocks and barriers to love, they were amazed at how quickly and dramatically their love lives transformed. I’ve been deeply moved by the extraordinary breakthroughs and heartwarming success stories of miracles I’ve witnessed over the years—often by those who had the least amount of faith this process would work for them. And I’d love for you to be a Calling In “The One” success story, too. And if it seems like examining your “junk” and making these shifts might be scary or hard, I want you to know that it actually feels AMAZING because it’s what finally liberates you from your story and allows you to move into a place of peace and absolute possibility in your life. To now get you started on your journey to deep happiness in love, I’ve created the Calling In “The One” Starter Kit. It’s completely free, and you can start using it today. This simple Starter Kit will support you as you begin to see how your disappointing patterns in love have been happening through you rather than just to you—and also begin to awaken your power to create an unprecedented future of happiness in love. A Calling in “The One” Visioning Meditation that you can work with daily to help clarify your desires and make you magnetic to their fulfillment. 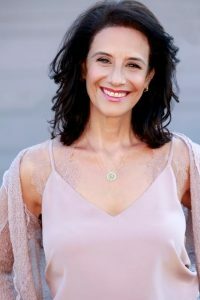 A podcast interview – where I explain exactly how to start shifting your core “love identity” beliefs and awaken your power to radically transform your love life for the better. Simply fill in the simple form on this page. Then watch your inbox for your Calling In “The One” Starter Kit, which will be sent immediately.